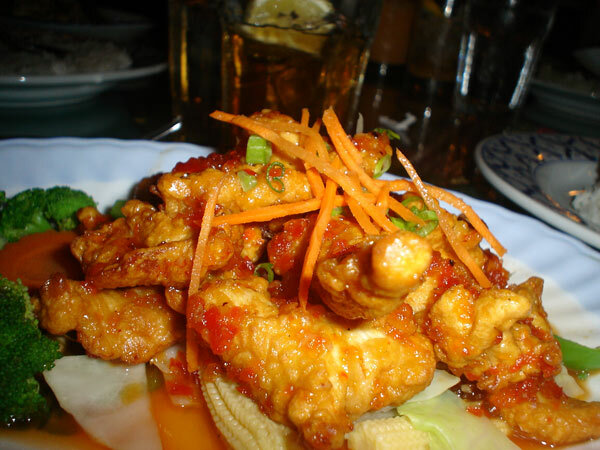 This little quaint Authentic Thai Restaurant is a favorite in the Pinellas county area. Prices are reasonable and the spices can be altered to meet your preferences, from mild to extremely spicy. Start your dining experience with some delicious appetizers like Spring Rolls, Curry Pop or Fried Wontons, then try one of their tantalizing dishes such as Cashew Chicken, Chicken with mixed Vegetables, Phad Woo Sen, or Phad Sam Rot (see photos below). Highly recommend this establishment! !